Wednesday 24 April, 7 pm: Anointing (Orthodox and catechumens only). Thursday 25 April, 7 pm: Orthros of Holy Friday (12 Passion Gospels). Friday 26 April, 7 pm: Orthros of Holy Saturday (Burial and Lamentations). Saturday 27 April, 8 pm: Nocturnes, Orthros (Rush Procession), and Divine Liturgy of Pascha. Sunday 28 April, 12 noon. Agape Vespers of Pascha and parish feast. St. Botolph's is a parish of the Orthodox Church based in central London. We are part of the Antiochian Orthodox Christian Archdiocese of the British Isles and Ireland. Divine Liturgy is celebrated every Sunday at 11am, preceded by abbreviated Orthros at 10:30am. All our services are in English. Everyone is welcome at our services and may receive the blessed bread (antidoron) as well as a blessing at the end of the service, but only Orthodox Christians may receive Holy Communion. Any additional services or changes in our schedule will be announced in the parish newsletter. We are one of the very few Orthodox parishes in London regularly serving in English and the only one where the Divine Liturgy is offered in English every Sunday. Our parishioners come from diverse backgrounds and cultures. We are young in spirit, lively and multicultural, eager to welcome both Orthodox — cradle or convert — and enquirers. So please, come along! After the service, we all share a communal meal in the adjacent parish hall, after which Fr. Alexander instructs those preparing to join the Orthodox Church and anyone interested in learning more about the faith. We are easy to find. We are located in the centre of London, around the corner from one of the major stations, Liverpool Street, which is served by the London Underground, Overground, overland trains and buses. We are also within walking distance from Moorgate Station and Finsbury Square, a smaller hub for buses from the north-west. 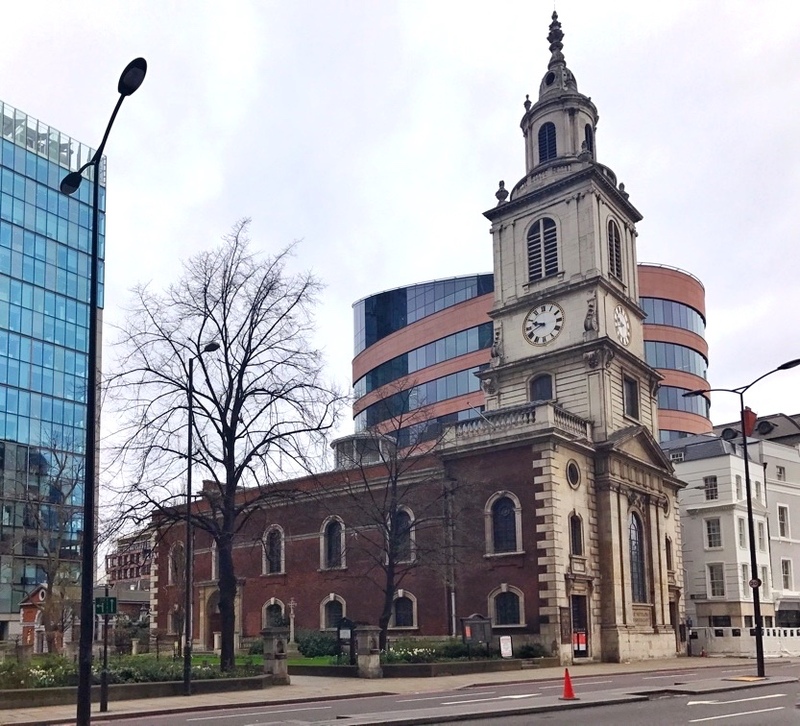 The future of St. Botolph's depends entirely on its parishioners and sponsors. Please consider supporting us with gifts of prayer, time, talent, and money. Any donation you can make, however small, will be very helpful and appreciated. Most importantly, please come and visit us as often as you can! 'The Orthodox Parish of Saint Botolph complies with current laws concerning personal data, e.g., email addresses and phone numbers, of any persons on its mailing list. Please contact Fr. Alexander (alexander.tefft1@gmail.com), Michael Kennedy (Chairman, Board of Trustees) (kennedy_mp@hotmail.com), or Peter Hellman (Secretary, Board of Trustees) (p.hellman@protonmail.com) if you no longer wish to remain on the list'.